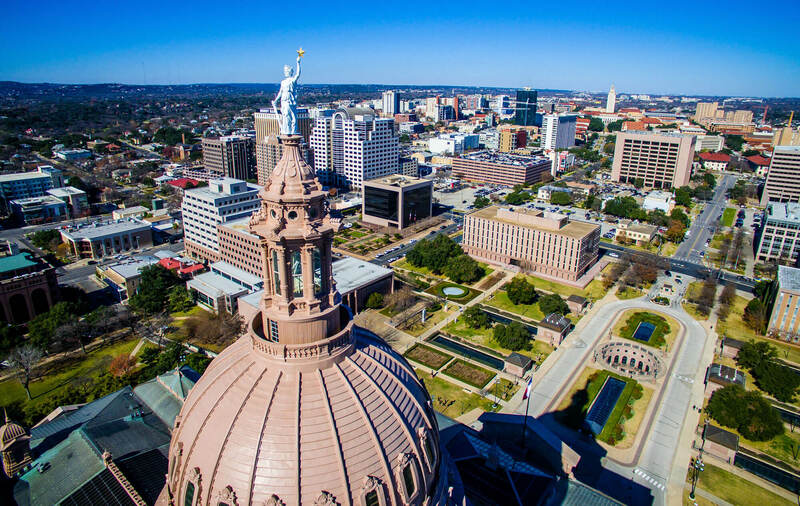 The Top of the Texas State Capitol building taken with a Aerial Drone showing the top of the Texas Hill Country highest Capitol building in America. 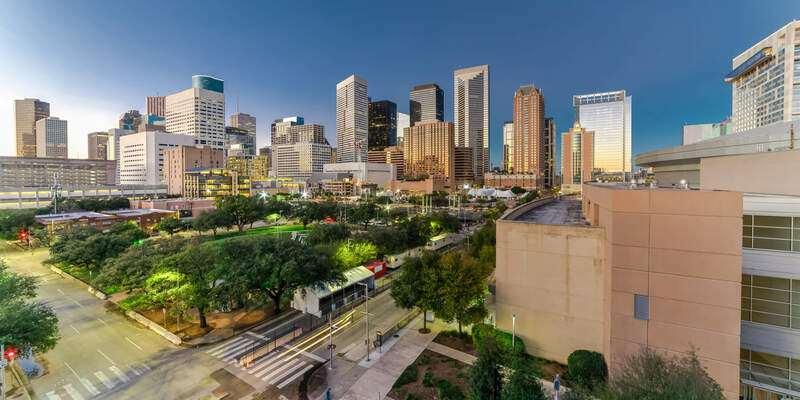 Aerial view downtown Houston illuminated at blue hour with green city park and modern skylines light. 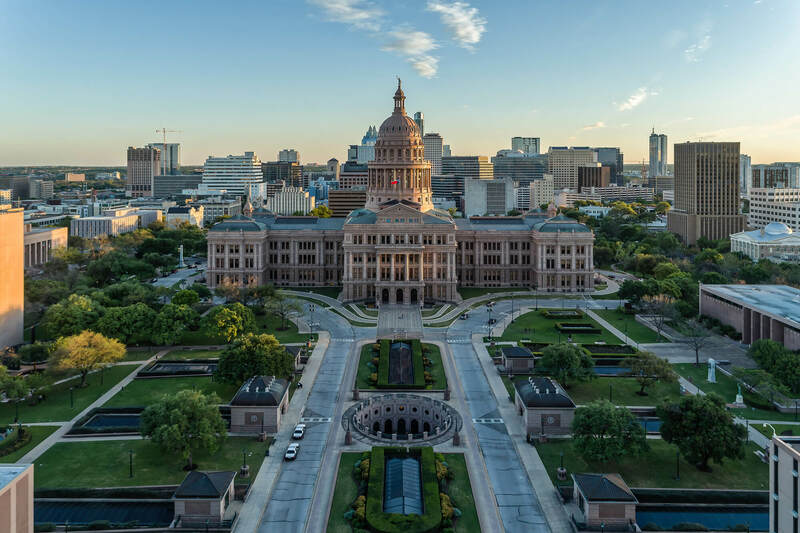 The most populous city in Texas, fourth-most in US. Architecture and travel background. 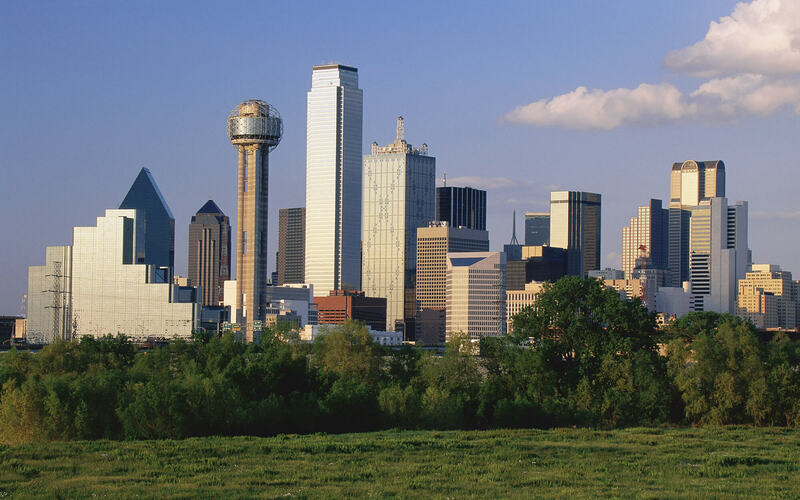 Scenic Dallas skyline, Texas, USA. 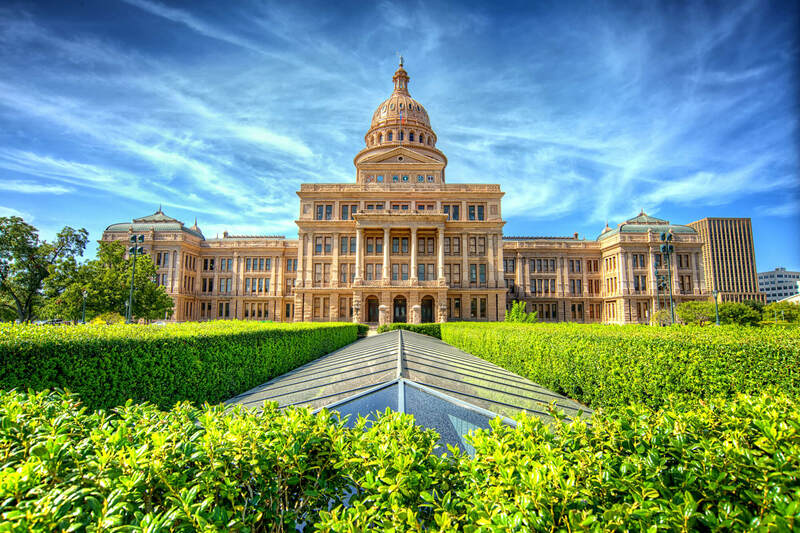 Texas State Capitol Building Austin, Texas, US. Dallas, Texas cityscape with blue sky at sunset, Texas.